The pictogram is a clear depiction of our planetary system on 23-24 Dec 2012, two or three days after the End of the Long Count Calendar – December 21, 2012. One group consist of thin circles and depicts the orbits of Mercury, Venus, Earth, Mars and Pluto. The other one with bold circles consists of Jupiter, Saturn, Uranus and Neptune. First: the first anomaly is in Pluto’s orbit, which clearly depicts that this heavenly body will be influenced by the outer gravitation from some passing body, planet or comet. Second: the second anomaly is split into two groups. Can this be understood as a separation of our solar system into two groups, as result of the extreme Sun’s activity in combination with some extreme powerful gravitation of a passing body or comet? It indicates huge geological changes and movements in our solar system as a result of the Sun’s expansion in mass and strong gravitational pull from the outside. The mass of the Sun is bigger by more then 25% and the planets Mercury and Venus are completely burned. The Earth with its companion (if the dot in it represents the Moon) together with Mars are staying in their orbits but dangerously close to the Sun. According to this, we are facing a new extinction of human kind! After a short analysis, it becomes clear that the second pictogram (the update of the first one) is not depicting our solar system on 23, 24 Dec 2012 (it was only used to bring our attention to this time frame of 2012) but 8 days before the End of the Long Count Calendar – 13 Dec 2012. From the left side we see the approaching of a huge object (number 10) that is probably Planet X which has a strong gravitation which is influencing Pluto’s orbit and then a New Moon and a Bright Comet from the right side. Expansion of the Sun is obvious, together with the swallowing of its two closest planets. Mercury and Venus are completely burned by the Sun. With that, in the planetary depiction of the Earth there is a dot inside, and on the bold circle outside the planetary orbits a similar symbol is shown, there is a high possibility that it is the zoomed orbit of the Moon around the Earth through the year. Maybe if everything stays as it is, and the Shadow Government does not implement NWO at least during the summer season, new input will come and people will surely decode them. Also surely there is someone over there that probably has the answers but we have already received the basic download. There are high indications that climate change will increase, to extreme, as we approach the point of the perfect alignment with the galactic center on 21 Dec 2012. This will be a natural result from the exposure of the maxim gravitational pull which comes from Sgr A* and from the passing celestial body that is close to our solar system and which as presented in the crop data, will intercept in 2012 an area close to Pluto. If the galactic core which is in the center of the flatten disk has gravitational power to hold stars and planetary systems distant to 50,000 light-years in each direction, you better believe that it has power to do much more. Tornados, Cyclones, earthquakes, volcanoes, shifting in the planetary magnetic balance, tsunamis and you name it, will eventually lead to a Shift in the Magnetic polarity of the Earths energetic grid and finally to a Shift in Geological Poles. Not to mention the Sun, which by “coincidence”, will go through Pole Shift again, which so far, as far as we know, it was doing every 11 years. Imagine if the Sun comes as close as it is depicted in the pictogram, and switches its polarity, in the moment of the flip its magnetic pull will certainly interfere with our magnetic and geological Poles. There are already drastic changes in the magnetism of the Poles and not to mention changes in the geological Poles. It’s all connected with planetary spinning, then on the outer influence of the Sun, then directly to Sgr A* and so on and on. Are Sedna and Nibiru both orbiting our dark star companion, and is ours a double solar system? Andy Lloyd, author of “The Dark Star”, presents a fascinating new theory about our Sun’s binary or companion and the famed Niburu, based on the work of Zechariah Sitchin’s “The Twelfth Planet”. Lloyd believes that there is a failed star or sun circling our own with a cometary orbit beginning just outside the Kuiper Belt at 60 to 70 AU and stretching all the way out to the Inner Oort Cloud. Its orbital period is at least three sars or 10,800 years which is very close to what astronomers have given to Sedna’s orbit. It orbits more or less on the same plane as the Sun and in the same direction as our solar system planets. What is really unique about his theory is that this dark star has its own planets, the first five minor, the sixth an Earth-sized Homeworld, and the seventh the planet or object we call Nibiru. 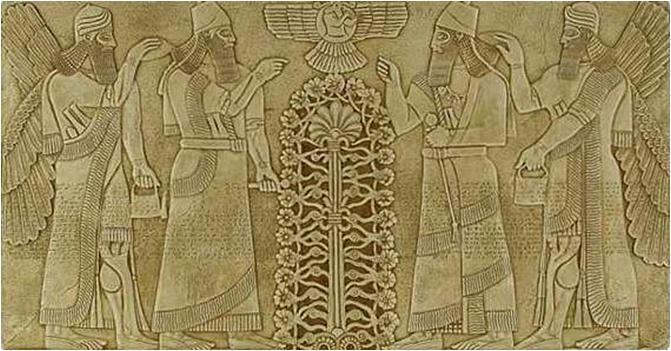 The Homeworld is much like Earth and is where our Annunaki “gods” live. Nibiru is largely uninhabitable and acts more as a ship or battle station. When the dark star is at perihelion(closest approach to our sun) at 60 to 70 AU, Nibiru’s orbit, which is at 60 AU from its parent, has a wide enough orbit to cut through our solar system, usually in the vicinity of Jupiter’s orbit, although this can vary. Nibiru’s orbital inclination is some 30 degrees to our solar plane or ecliptic. As Nibiru cuts through our solar system in retrograde motion to the other planets it performs its various duties such as displacing or replacing planets and causing general havoc in the process. Its passage is momentous but short taking only a few weeks or months at most, after which it dissapears from view. It is fiery red in color with a debris-filled tail, and circling it are a number of moons which it sometimes uses as weapons to pound other planets. Nibiru or its moons were responsible for such feats as the destruction of Maldek and other planets which are now asteroid belts; the craters or surface scars on the Moon or planets of our solar system, as well as their varying axial tilts and orbits; the sinking of Atlantis and Noah’s Flood; and God knows what else. It is the physical link or “ferry” between our solar system and the dark star system. Many believe that since Nibiru causes so much fear, chaos, and destruction, that it is a reptillian or satanic instrument of war. In fact, the Dark Star and its entire system of planets may be a counterfiet system to our own, and domininantly alien or reptilian. Is this the domain of Lucifer and his fallen angels -the “outer darkness” of which the Bible speaks of, with tiny Pluto acting as Guardian of the Gates to Hell? Do we have a miniature version of Nibiru and the Dark Star within our very own planet? If our hollow earth can be likened to to a cosmos or solar system and its inner central sun to a star around which other objects (representing planets) revolve, then we have a similar model, only on a much smaller scale. See the Earth’s Inner Sun on this site. Astronomer Alessandro Morbidelli at the Cote D’Azur Observatory postulates that our Dark Star may have an orbital period of as much as six sars or 21,600 years. He bases this on the Babylonian Great Year period of six sars mentioned by Roman chronologist Censorinus in the third century AD. This is close to the 25,920 year period that astronomer Pickering gave to his planet Q back in 1909. After every such period or revolution the Earth’s poles become equatorial causing great catastrophes. Like Andy Lloyd, Morbidelli believes our Dark Star is presently past its perihelion(farthest distance from the Sun) and on its way back, but it has a long way to go. He too believes it is now located somewhere in the star-rich fields of Sagittarius where it is not so easy to observe. The lunar landing sites (there were six of them) have never been mysteries; their locations are well known, but the equipment left behind is simply too small and remote for Earth-based telescopes to see. You might as well ask why individual rocks aren’t easily visible on the moon’s surface.